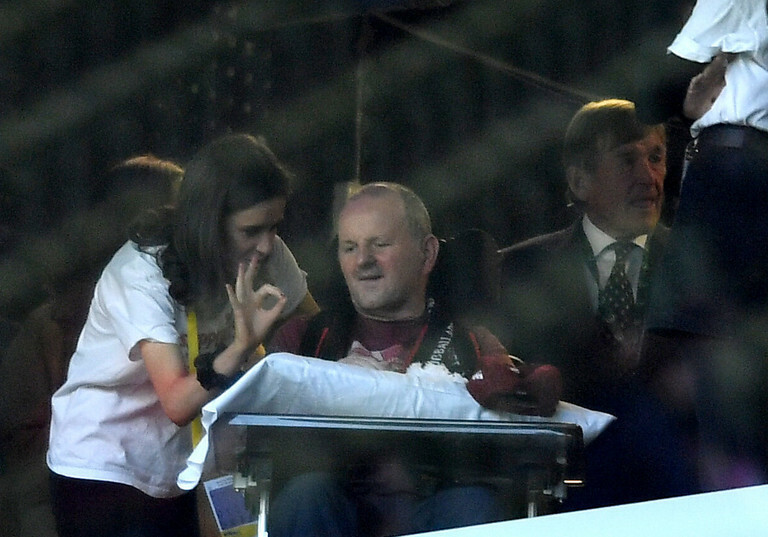 26,873 turned out in force to welcome Sean Cox to the Aviva Stadium and demonstrate what going to a football match should be about. Sean's two teams, Ireland and Liverpool, united to do what they could to put right a grave wrong. A senseless attack that has resulted in months of trauma and a prolonged stay in the National Rehabilitation Hospital in Dún Laoghaire. Cox managed to make Friday's match, making it all the more poignant. 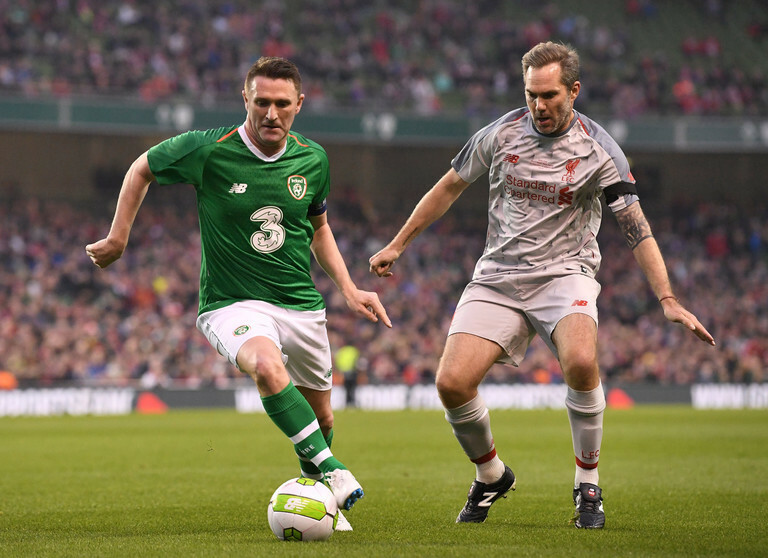 Speaking to Balls.ie after the game, Jason McAteer opened up on meeting Sean. I went to see Sean before the kick-off and in all honesty, it broke my heart. We've all been trying to sort the game out and sort things out. He's kind of been wrapped up in cotton wool which is understandable so we've not really seen the extent. We've not really met him. Obviously, we've met his wife and family so we have been getting bits and bobs, but when I met him, it just absolutely broke my heart. To run out made it a bit more special, it made me want to run a bit more for him. McAteer stressed how important it was that the 'Liverpool family' got behind a supporter in his time of need. While he played in the game and was at the centre of proceedings, there was another crucial group present who deserve recognition. The Liverpool legend reserved particular praise for the Aviva Stadium faithful, who turned up to back a family in their time of need. Our job is easy, we come over and play the game. We get looked after unbelievably well by the staff, it's easy. The real heroes are the fans who turn up and put their hands in their pockets to make it a successful night. That's what they've done. All credit to the fans. 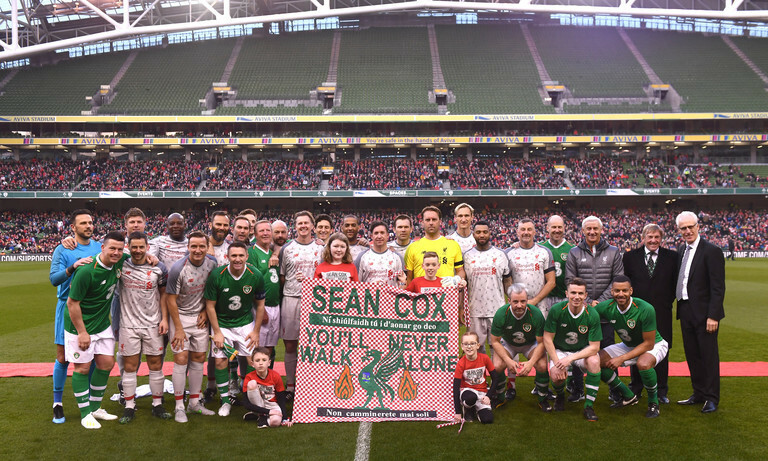 Last night fans sent a clear message to Sean Cox and his family, you'll never walk alone. To donate to the Sean Cox Fund, please click here.